This year marks a decade since Prince Albert II created his FPA2 Foundation focusing on environmental initiatives. True to his great-grandfather, oceanographer Prince Albert I who gave Monaco its constitution in 1911, Prince Albert II said in his inauguration speech: “A collective desire to preserve our environment should be one of our country’s contributions to the international community. I wish our knowledge in this area to benefit everybody and contribute to a number of cooperation projects with other countries, including our Mediterranean neighbours”. The experience prompted the sovereign to establish the Foundation of Prince Albert II (FPA2) on 30the June, 2006. Not only does it represent his personal contribution to safeguarding our ecosystem (he is acting President of the Foundation), it is also a force to unite people in their quest to improve the planet’s pollution. One of the reporters in the audience was Bertrand Picard. He recently changed history by flying over the Atlantic in an airplane powered only by solar energy. He spent a total of 71 hours and 8 minutes in the air, without a drop of fuel, before landing in Seville, Spain on 23rd June. 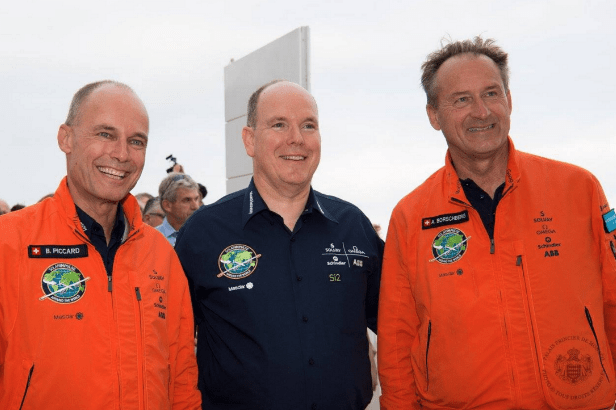 The idea of launching a solar energy airplane in pursuit of clean technologies was prompted by Picard (its initiator, chairman and co-founder) and by Andre Borshberg in Switzerland 12 years ago. However, Prince Albert gave his full support to this project, placing the mission Control Centre on Monegasque territory. 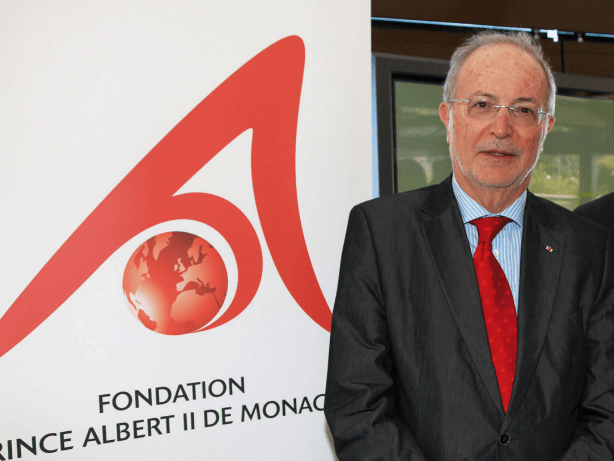 Another name associated with Monaco projects on environmental protection and sustainable development is Bernard Fautrier, the CEO and vice president of the Prince Albert II Foundation. It is no coincidence that Mr. Fautrier was appointed a loyal assistant to Albert II in pursuing the Foundation’s mission, establishing business contacts, raising public awareness and supporting projects through grants, highlighting “the impact of human activities on the natural environment”. Mr. Fautrier has had a rich experience in the field of environmentalism and its promotion in the government long before it became fashionable to be an environmentalist. Prince Albert Foundation gives priority to three regions: the Mediterranean Basin, Polar regions, and the least developed countries according to UN standards, namely those on the African continent. Educating consumers and professionals was equally necessary to protect the endangered marine species. In October 2013 the Foundation launched the “Mr Goodfish” campaign that consisted of a simple observation: certain fish species are depleted, while others, though unknown, are abundant and delicious. The purpose of the project was to provide consumers with a list of alternative fish for their table. Monaco restaurants Le Vistamar (one Michelin star) and Les Thermes Marin Monte-Carlo both supported this movement of responsible seafood consumption. Since 2006, the number of the Foundation’s partners has been increasing steadily – from the globally recognised World Wildlife Fund to the local Mercantour National Park, located about 40 kilometres away from Monaco. The same goes for their list of partner institutions, including National Geographic, Climate Group and Tiffany and Co, which invested a total of 35 million euros in the Foundation’s projects. The Prince Albert Foundation also grants three annual awards in the following areas: biodiversity, climate change and protection of water resources. 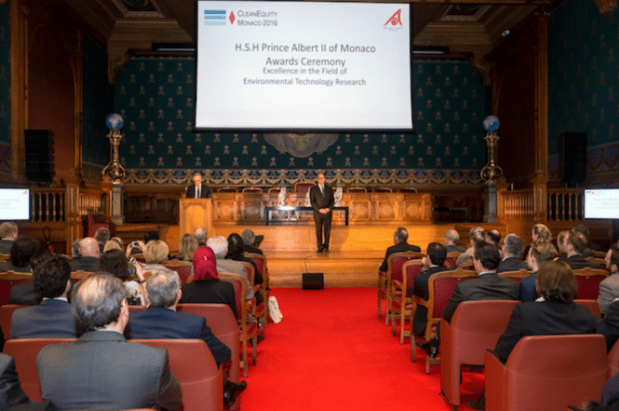 The Prince also awards scientists and researchers in ecology within the framework of Clean Equity Monaco, the world’s leading cleantech conference, which takes place every March. The event was conceived by Prince Albert together with Mungo Park in 2007. 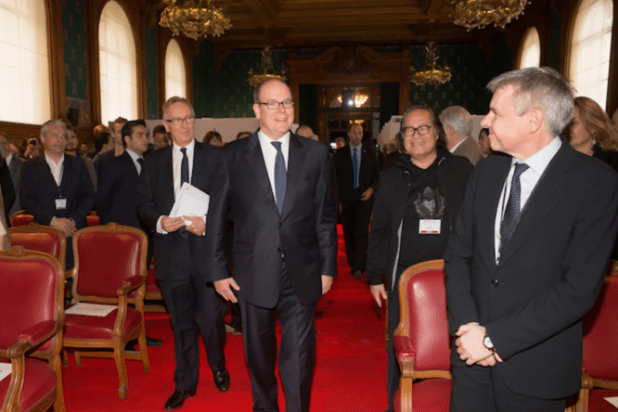 It should be mentioned that the ruling Prince Albert II of Monaco has himself won a number of ecological awards. A few weeks after taking part in the historic COP21 in Paris in November last year, Prince Albert and Bernard Fautrier went to New York. 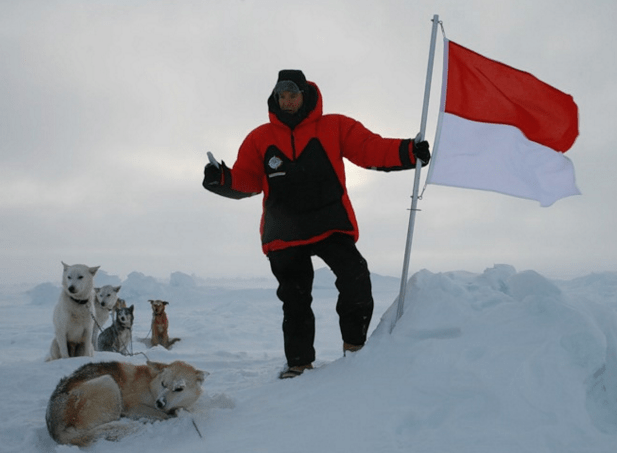 The sovereign was given the Global Environmental Award 2015 for his contribution to flora and fauna biodiversity and climate change research. The award was presented by the UN Secretary General Ban Ki-Moon. President Bill Clinton received the same award in 2006, the year when the Foundation was set up. Earlier in 2015, Prince Albert was awarded the “Oscar of the oceans”, an honourary award for outstanding achievement in the field of national guardianship over the oceans. The Prince is therefore absolutely true to his promise of promoting the respect for the environment. However, Monaco cannot solve the global problem of climate change on its own. One state can only make its small contribution and reduce its harmful emissions by 30 percent by 2030. But according to Bernard Fautrier, “this will not change much” compared to Russia, for example. A closing of just one plant in that country can dramatically reduce the total harmful emissions by 20-40 percent. Monaco is the second smallest and one of the most densely populated countries in the world. During the working week the number of its population increases from 32,000 to 55,000 people. Monaco public transport, CAM, operates buses that meet most advanced environmental standards. The company says that the use of transport has increased by 20 percent since 2009 due to the improved circulation and availability scheme. The electric Mobee (electric car drivers can park for free) and electric bike program were also introduced. The Foundation and ONE DROP (a non-profit organisation created in 2007 by Cirque du Soleil), both collaborated with the all-electric FIA Formula E. The Prince’s photos in Paris during the electric ePrix race on 23rd April are not just staged for “People” magazine. He genuinely tries his utmost to contribute to a world without the carbon emissions, fires and accidents that are quite typical of Formula 1 races. An “Eco Warrior”, the “Green Prince” personally takes action towards sustainable development and a better planet for our children. Keeping Monaco healthy with Susan Tomassini: Sweet potatoes: The perfect winter superfood!